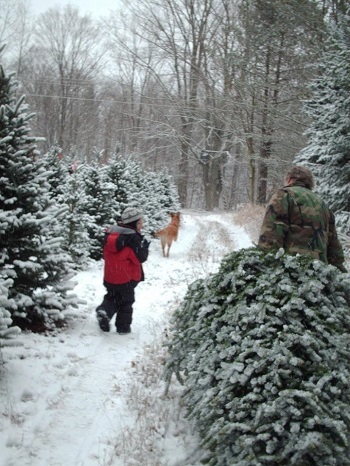 Choosing a Christmas tree with your family can be a wonderful, memorable event. Live Christmas trees can be a beautiful addition to your home during the holiday season, and they can even freshen up the living room with a wonderful evergreen scent. When you plan a day to pick a Christmas tree, be sure to visit one of these tree farms in Mason, Manistee or Oceana County. Whether you're looking for a tree that's four feet tall or 12 feet tall, these local West Michigan businesses can help you find the perfect tree at an affordable price! Read our story about how to recycle your tree after Christmas. They improve air quality by emitting oxygen, and they provide habitat for wildlife during the many years it takes for a tree to reach harvestable size. Fresh trees smell wonderful...like you always have a Christmas tree scented candle lit in your living room. For every real Christmas tree harvested, 1 to 3 seedlings are planted. Every time you purchase a fresh tree, you are supporting a local business, which helps your local economy. Tree farms typically use land that otherwise could not be unoccupied by other crops, such as such as steep slopes and areas beneath power lines. Real trees can actually be recycled in many different environmentally friendly ways. You have to purchase a Christmas tree every year, which could end up being between $20-$50 depending on how large of a tree you want. Some maintenance is involved in picking your tree and cutting it down, and the needles can be a mess once the tree is set up. Can be fairly affordable, and only a one-time cost is involved. 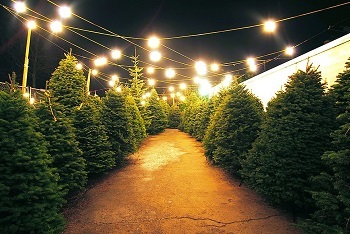 Artificial trees can be used year after year. For the most part, it's mess and maintenance-free. Artificial trees are symmetrical, have a "perfect" shape, and are pleasing to the eye. Artificial trees are made from materials such as polyvinyl chloride (PVC) and metal, and are often imported from China. Since they cannot be recycled, artificial trees end up in landfills when they are no longer useful. Some trees can expose us to toxic and even cancer-causing chemicals, which requires artificial trees made in China to have a warning label about the potential risk of lead poisoning. And the older your artificial tree is, the more likely dangerous lead exposure can occur. For more information about Christmas trees, visit the Michigan Christmas Tree Association website.